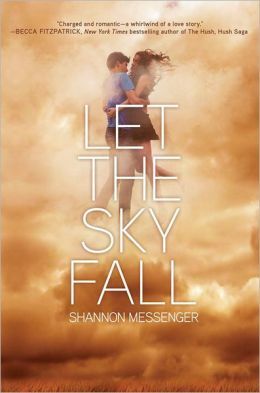 Let The Sky Fall by Shannon Messenger is a pretty good book if you are in the mood for a quick, light read. It received very good reviews, so I decided to check it out. While I wasn’t necessarily disappointed, I wasn’t blown away by this tale, either (get it…“blown away”…because it’s a book about wind). Vane Westerly was found at the age of seven lying in the aftermath of a horrible tornado. Both of his parents were found dead, and he has been labeled a “miracle.” Vane has zero memories from before he was found, except the image of a beautiful girl with long, dark hair. He has been dreaming about her ever since. The beautiful girl = Audra. Audra’s father was also killed in the violent tornado that killed both of Vane’s parents. But unlike Vane, Audra remembers everything. Audra and Vane are Sylphs, also known as Windwalkers. They have the ability to speak the languages of the wind, and use that language to command it, even shape it into weapons. Vane’s memory was wiped the day of the storm to keep him safe, and Audra has been tasked with watching over Vane, keeping him off Raiden’s radar. Raiden and his army, known as the Stormers, are the ones responsible for that deadly tornado ten years ago. You see, Vane and his parents were the last of the Westerlies (Sylphs born from the Western winds), and now only Vane remains. Raiden will stop at nothing to find Vane and force him to teach him the Westerly language, because he wishes to be the most powerful and destructive Sylph. No Sylph has yet to possess the knowledge of all four wind languages—North, South, East, and West, and Raiden intends to be the first. So far, Vane has been kept off the radar by living with adoptive human parents, but one night in a desperate attempt to keep Vane from bonding to a human girl, Audra calls upon the wind to knock them apart. Now Raiden has their location and will send the Stormers to capture Vane. With imminent danger on the way, Audra has no choice but to awaken Vane to his true nature and teach him the language of the Easterly, Northerly, and Southerly winds, hoping he will remember the language of his own ancestral Westerly winds, so that he will be the most powerful Sylph and hopefully be able to defeat Raiden. Of course there is the typical forbidden attraction between Audra and Vane (because she is his guardian and therefore cannot be with him). Drama of Audra’s mother hating her because she blames Audra for killing her father is included, yada yada yada. Like I said, this book didn’t put me to sleep, and the Sylph lore was new and intriguing. But, on the whole, this novel didn’t exactly get my heart racing. I give it three out of five stars. Here is a play I wrote for my first Drama class at LSU. Now, plays aren’t really my thing (I prefer books and movies), but this play got rave reviews from my peers. 13 Little Blue Envelopes by Maureen Johnson is a sensational summer read! This quirky novel is sure to bring out the adventurous side in everyone. One day Ginny, a New Jersey native, gets a letter from her Aunt Peg (who died three months ago) containing $1,000 and instructions for her to buy a backpack and a plane ticket to London, then go to a Chinese restaurant in New York to pick up envelope 2. Rule #1: You may bring only what fits in your backpack. Don’t try to fake it out with a purse or a carry-on. Rule #3: You cannot bring extra money or credit/debit cards, traveler’s checks, etc. I’ll take care of all that. Rule #4: No electronic crutches. This means no laptop, no cell phone, no music, and no camera. 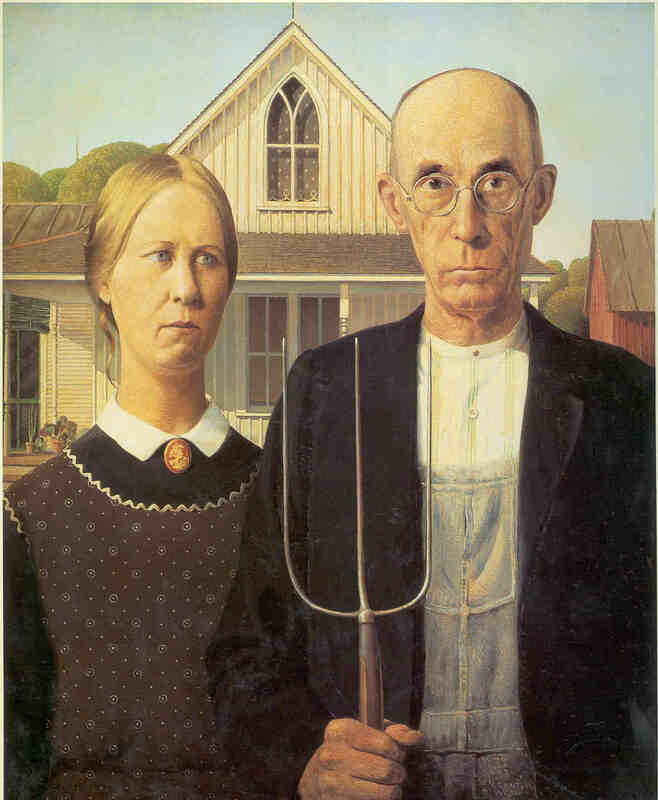 You can’t call home or communicate with people in the U.S. by Internet or telephone. Postcards and letters are acceptable and encouraged. Now all Ginny has to do is pick up envelope 2, go to London, and see what kind of adventure her (dead) whirlwind aunt has in store for her over the summer vacation. Of course it was hell trying to convince her parents to let her do this, not to mention that it goes against everything well-organized, practical Ginny stands for. But it’s her aunt, and the promise of these 13 little blue envelopes is the last thing on earth Ginny has of her. Thus, she strikes of for the UK. The premise of this entire Teen novel is for Ginny to travel around the UK in search of these envelopes that her aunt has left for her. With each new envelope comes a new set of instructions: Places to go, people to find, things to do. Along her journey, the envelopes send Ginny to England, Scotland, Italy, France, the Netherlands, Denmark, and Greece, giving her whacky activities to complete throughout her voyage. And of course, Ginny meets a peculiar artist along the way that she can’t stop thinking about, and who appears throughout her expedition. To give you a taste of the adorableness of this book, here is a quote from a letter she sends to her best friend back home. This entire novel is not only charming, and adventurous, but it also gives you a window to the soul of a young girl dealing with grief for the first time. I cannot say enough good things about this tale. I give it five stars!